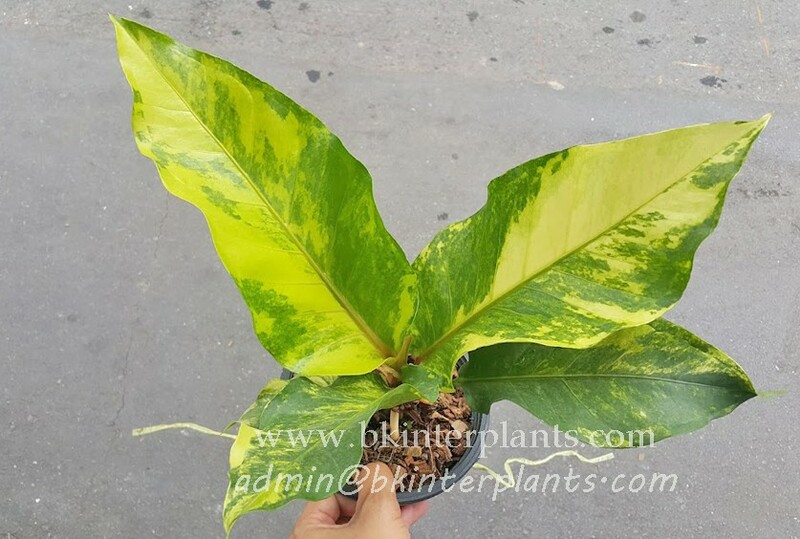 The One of the best Variegated Plant in your Collects. 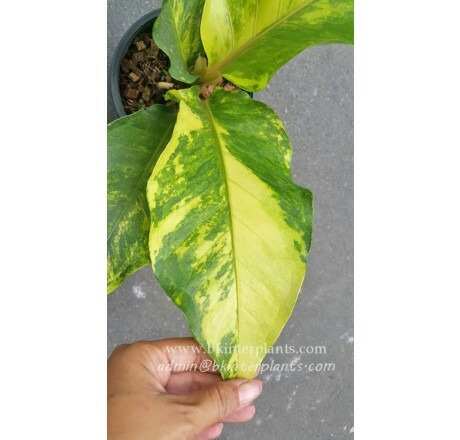 Plant Name : " Foliage Anthurium 9 Fortune Yellow Variegated "
The Best Beautiful Yellow variegated Very Good Looking Believed to bring fortune Good luck to grow. Plant Care : The head planted in sandy loam mixed with chaff burn. 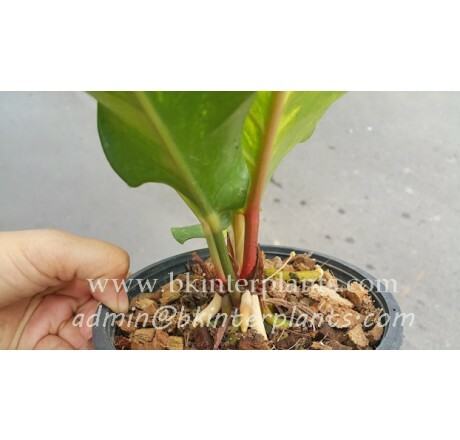 Set it in the sun faintly moist and watered enough because, like humidity. 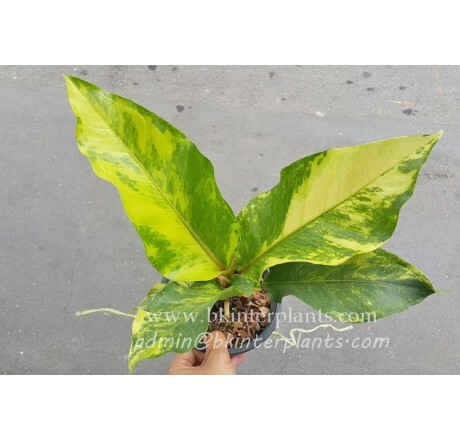 Shipped Plant Plant in Pot size 4 inch 4-5 Leaf.Shipped by Cutting all Leaf. 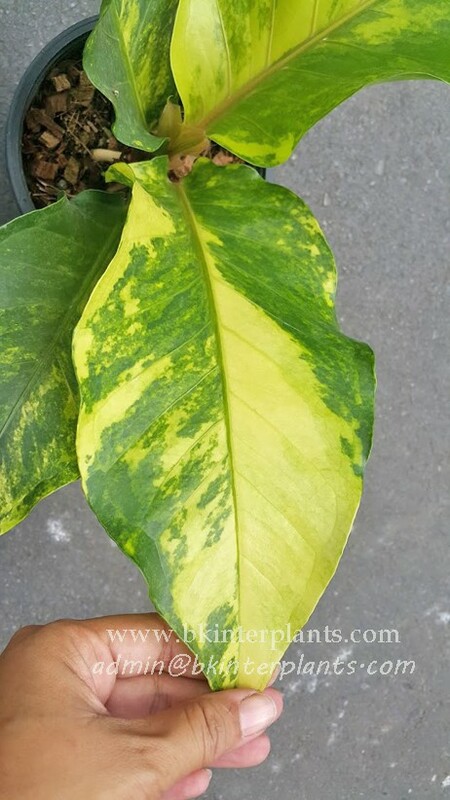 Healthy Plant , Barerooted , no soil. NOTE : EU will shipped lated because Your law want Test Plant from Lab for pass your Law Country. 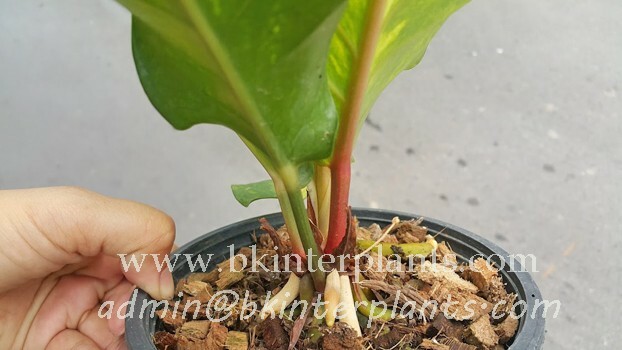 Take time more 5 days for test the plant therefore Shipping time will lated.